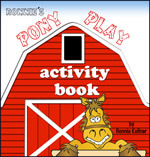 Here you will find lots of horse and pony games, how to draw horse cartoons, horse coloring pages, even poems, stories and lots of educational quizzes. Try the horse body parts quiz. Click here, but don't forget to come back for more fun with horses. More games and crafts coming soon!